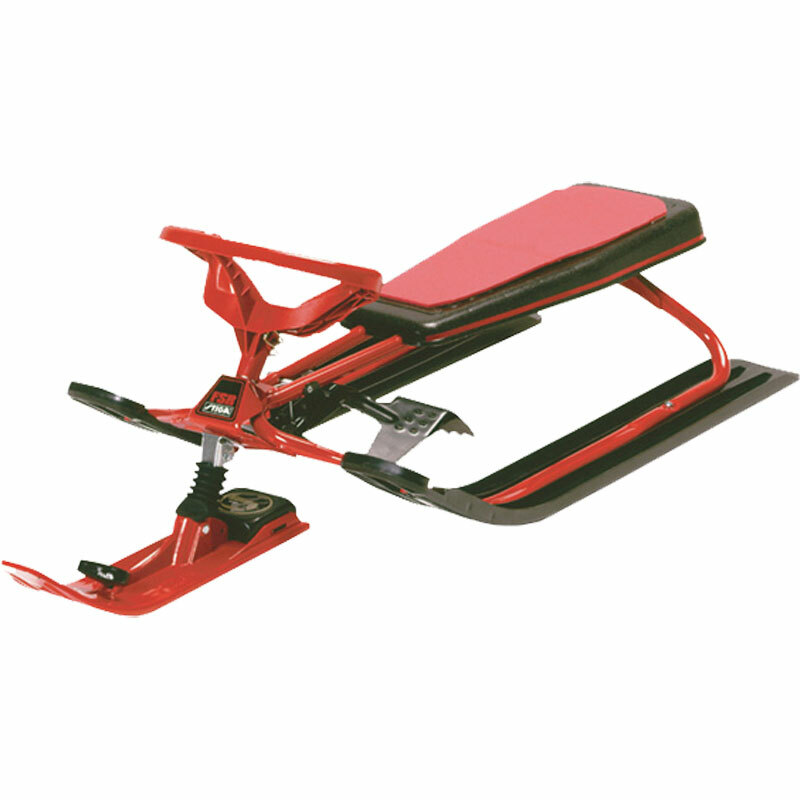 The Stiga ® Snow Racer Advance FSR Sledge means the last argument for not bringing the snowracer is lost. Stiga's foldable snowracer can easily be transported in the smallest of cars or be stored in the tiniest closet. From extremely compact to ready-to-go in seconds. Without tools! Shock absorbers and automatic winder. GT HD polyethene seat with cushion. Size - L120cm x W50cm x H38cm.